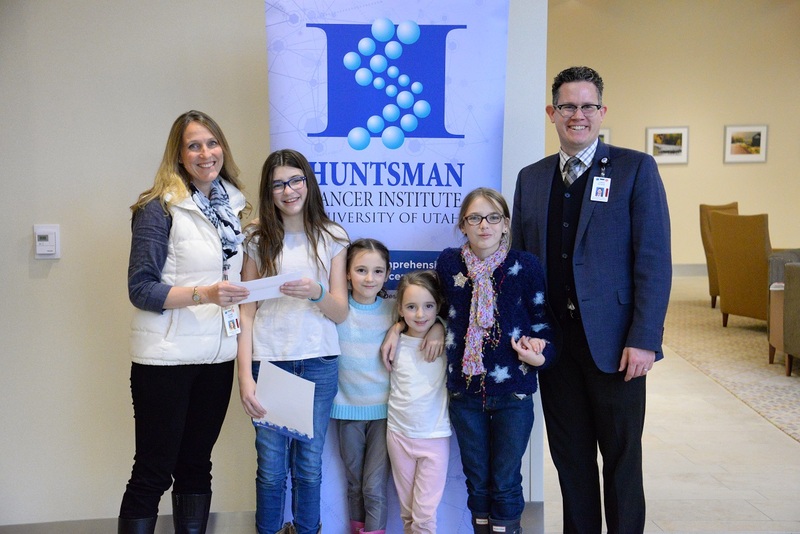 At Huntsman Cancer Institute (HCI), our donors are inspired to give, and we are inspired by our donors. Their giving will seed the next new breakthroughs in cancer research, leading to life-saving treatments and, ultimately, eradicating cancer altogether. Here are highlights of some donors who are making critical contributions to cancer research toward better cancer treatment, education, prevention, and early detection strategies. The IV Maidens Fund, led by Chairwoman Mika, age 12, presented a check for more than $1,000 to Alana Welm, PhD, to further breast cancer research. Mika’s sisters—the other three maidens, Ember, Maren, and Dagny (ages 10, 7, and 5, respectively)—were also on hand to present the check. The Maidens toured Dr. Welm’s lab and received an in-depth look at what goes on there, including how their gift will impact people with cancer. When presenting the check to Dr. Welm, Mika said, “We are delighted to present our donation to support cancer research. We hope HCI has continuing success in fighting cancer with less toxic treatments.” The girls were inspired to donate to HCI in honor of their dear friend, who is currently in treatment for cancer. Rich Linton, founder and CEO of the information technology company VLCM, values giving and has brought that value to his organization. In 2007, VLCM held its first “United Against Cancer” charity golf tournament. Since then, all proceeds have supported charitable causes, including HCI. With the formation of the VLCM Foundation in 2013, all funds from this event have been donated to Huntsman Cancer Foundation. Josh Linton, Rich’s son, knows firsthand what it’s like to be touched by cancer. His late wife battled melanoma for almost eight years. Josh says, “If you have to go through this challenge, I would want everybody to have Huntsman Cancer Institute on their side. In the end, we couldn’t beat it, but the opportunities we had to fight were because of that work and research.” Over the last 10 years, VLCM has contributed nearly $1 million to research at HCI, with more than $130,000 in 2017 alone. 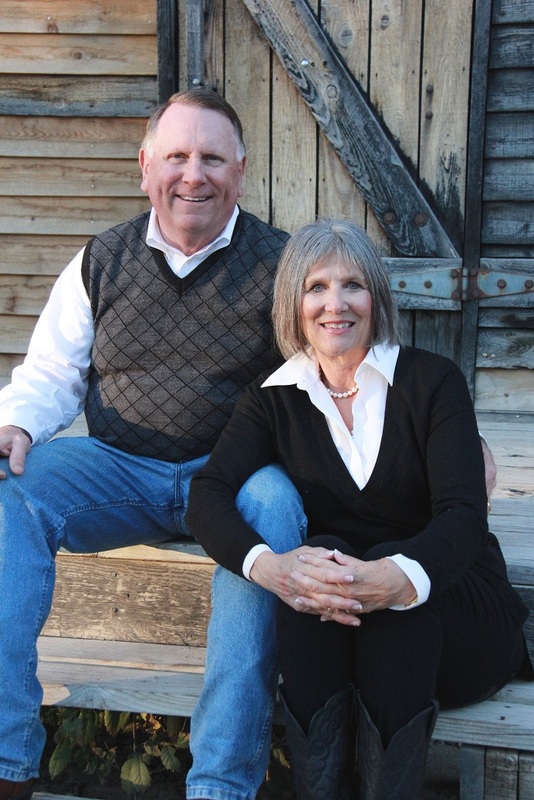 Wynn and Christine Tate, big believers in the work of HCI, made a generous gift in 2017, offering to match individual donations made in the month of December up to $250,000. Nearly a year before, brain cancer took the life of their 20-month-old grandson, Hayes. Inspired by Hayes and the family he left behind, the Tates are determined to make a difference. They named The Hayes Kyle Tate Memorial Atrium in HCI’s Primary Children’s and Families’ Cancer Research Center to honor him. “Almost all of us know someone who lost their life to cancer,” Wynn says. “In memory of our grandson, Hayes, Christine and I are honored to support an organization that means so much to us and makes a difference in the lives of so many.” The Tates hope that Hayes’s legacy will accelerate research toward a cure so that one day children will no longer be taken by this disease. Each year, more than two thousand Huntsman Heroes run, walk, bike, climb, and ski to support life-saving cancer research at HCI. Spanning eleven events, the Huntsman Heroes program offers individuals and families a way to show support for a loved one or friend with cancer during their cancer journey. Anyone can become a Hero; this program is structured to support the goals of anyone at any fitness level. 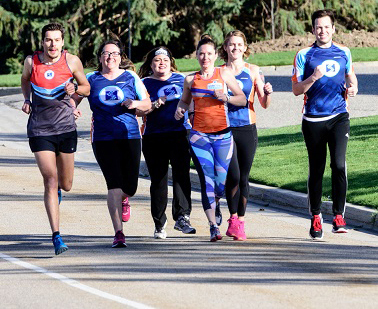 Our running and cycling teams train each spring and include runners, walkers, and cyclists who train for anything from a 5K up to a full marathon, or train for bike rides topping 200 miles. 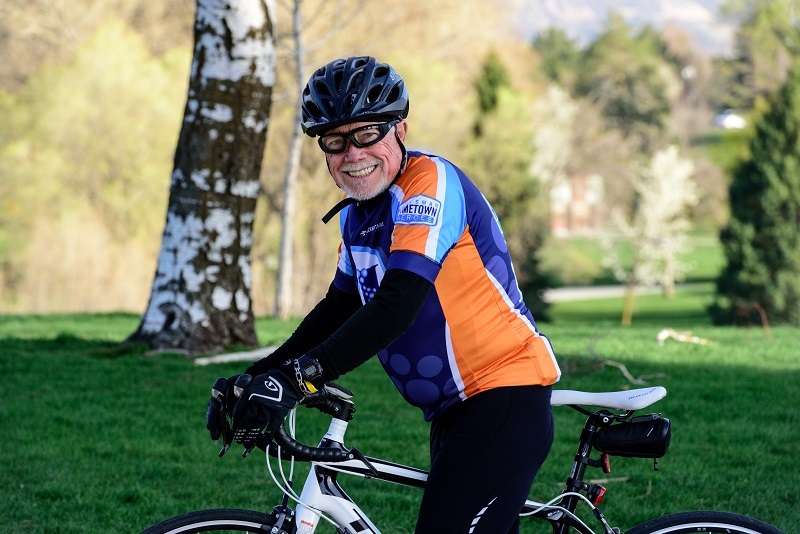 Huntsman Cancer Foundation hosts three premier endurance events—the Huntsman 140 non-competitive bike ride, the Huntsman 5K, and the newest addition, Pink Park City, a ski day to conquer cancer. In addition to these events, the Huntsman Heroes team participates in a variety of other endurance events throughout the state. In 2017, our Huntsman Heroes team raised over $1M for cancer research at HCI. This is the Sigma Chi International Fraternity’s rallying cry. Since 2013, Huntsman Cancer Foundation has been the sole preferred philanthropic partner for the fraternity. On April 12 of that year, members of Sigma Chi presented the one-millionth dollar raised for HCI. 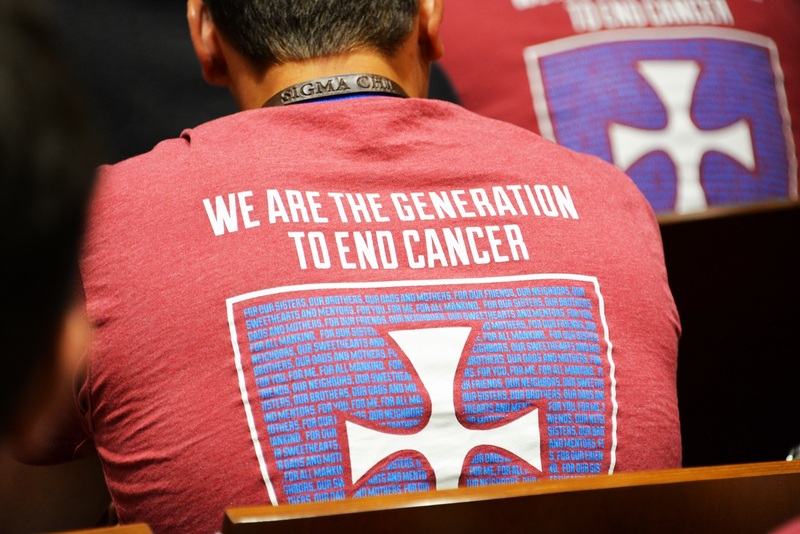 Since that day, Sigma Chi chapters have stepped up to fund cancer research. 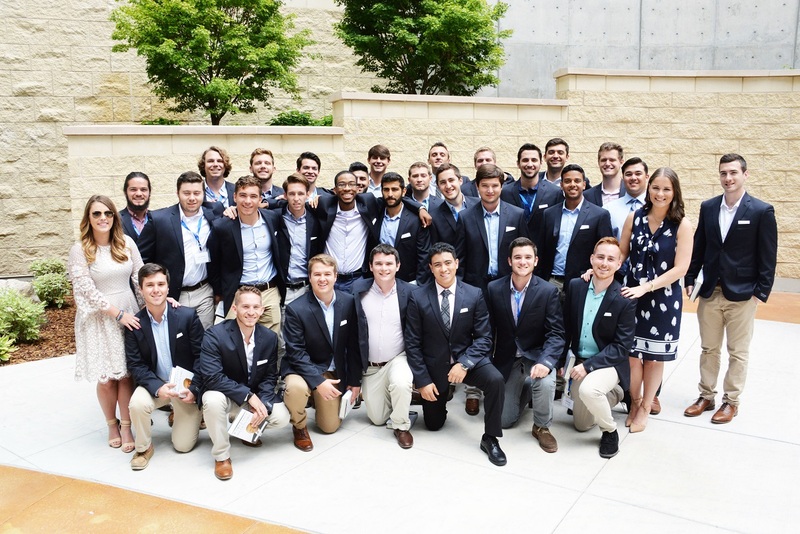 In 2015, they made the largest commitment to a philanthropy in the history of men’s fraternities, a seven-year commitment to raise $11 million to fuel the innovative research at HCI. In 2017, through the efforts of 167 chapters in the United States and Canada, Sigma Chi donated more than $1.5 million, with 30 schools each raising more than $20,000. To date, more than $6 million has been raised through this philanthropic partnership.